While I’m not a mom (yet), I have done many hours of research on the best items to have on a baby registry. I thought I’d share what’s on ours (and what’s not), in case any of you need some help getting yours together one day. We are registered at Babies “R” Us and Amazon.com. Let’s start with the most researched baby registry items: Gear! I’ve blogged about this before, but it’s worth repeating. 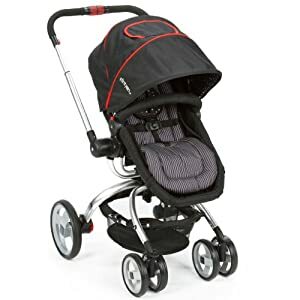 Every time I think I might like another stroller better, I find another awesome review of this one and my choice is confirmed. I was actually registered of the black one with the red sunshade, but I realized this one with the patterned interior is $100 cheaper, so I immediately switched the color. My husband’s grandmother has already told us we’re getting this for Christmas!! I can’t wait. I don’t NEED a car seat that matches the stroller, but it gets great reviews and it isn’t too expensive, so why not? I’ve also registered for an extra base so we can easily go from car to car without re-installing. 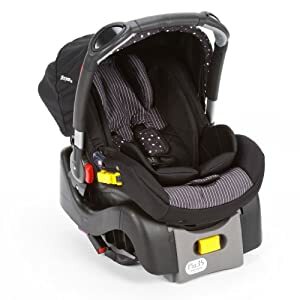 I know some people say to skip the infant car seat and just get one of these, but I know how convenient it is to transfer a sleeping baby from car to stroller to house with the infant one (I have a 10 year old brother, remember? ), so I want both. This one we’ll save for when he grows out of the infant seat – by they way, when does that happen? Six months? A year? I can’t remember. 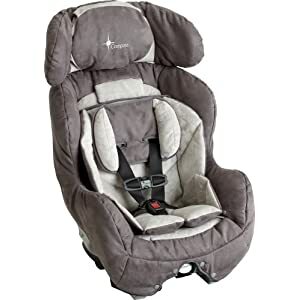 I originally registered for this car seat in all black, but it’s no longer available, so grey it is. 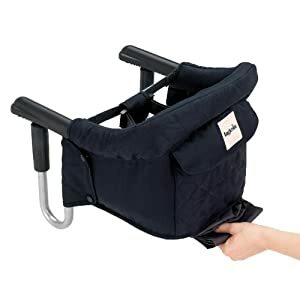 We already have the Ikea Antilop highchair, but I saw this on MODG and thought it would be nice to have for traveling. I like the dark, neutral color and compact design. A mommy friend told me to get a pack ‘n play with bassinet attachment to use right after the baby is born instead of a separate bassinet. I’m all about saving money and space, so I think it’s going to work great for us. It also matches our bedroom perfectly! Designer diaper bags aren’t my thing. I want something that’s going to last forever, hold all I need it to, and something my husband won’t feel uncomfortable carrying. I like messenger style bags to keep my hands free and the skip hop ones all come with cool stroller attachments. I can’t wait to try this sucker out. Jenna from That Wife did a great how-to video on this and I’m excited to use it with our little guy. It seems like the easiest way to go shopping with a cart, travel, or anything else where you need two hands. Plus, I’ve read that babies who are carried in slings like this cry less. What do you think of our gear choices? Anything we forgot? Carter grew out of his infant carseat around 1, and I agree, it is so much more convenient to be able to pop them out of the car (sleeping) in their car seat. I think I shed a tear when we had to install the big boy car seat because I knew we were going to be able to do that. It's such a pain to have to wake him to put him in the stroller every time he falls asleep in the car (which is all the time). @Angela Didn't I say my sister in law gave us her BabyBjorn? We're not buying it. And since it was free, I'm not going to register for another one. If we hate the Bjorn, we'll deal with it later. I have a feeling I'll use the Moby more, anyway. @Erika Good to know about the base! I acutally tried to register for an additional one, but couldn't find it. Our little squirt is 21 months along and just today I started working on our registries. Thanks SO much for posting this today! 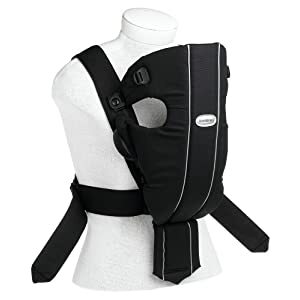 I dislike the bjorn- i fell in love with our sleepy wrap and eventually moved on to the ergo. My daughter LOVED the ergo! We used it so much more for trips to the market, walking the beach… Then i learned about http://www.meitaibaby.com/ and http://www.pognaeusa.com/?utm_source=DS&utm_medium=all&utm_campaign=AFDS&utm_nooverride=1Both of which i would have loved to have used/tried.